LONDON — A British court has ruled that two groups of shareholders in brewing company SABMiller should vote separately on the 79 billion pound ($104 million) takeover offer made by rival Anheuser-Busch InBev, effectively giving smaller investors an outside chance to derail the deal. The decision Tuesday is seen as a concession to smaller shareholders who complained that their payout plummeted in relation to larger investors after the pound fell following Britain's vote to leave the European Union. While smaller shareholders will receive cash for their stakes, SABMiller's two biggest investors will get cash and euro-denominated shares that have appreciated since the deal was announced in November. SABMiller's board has in principle accepted the deal, which would create a company controlling nearly a third of the global beer market. 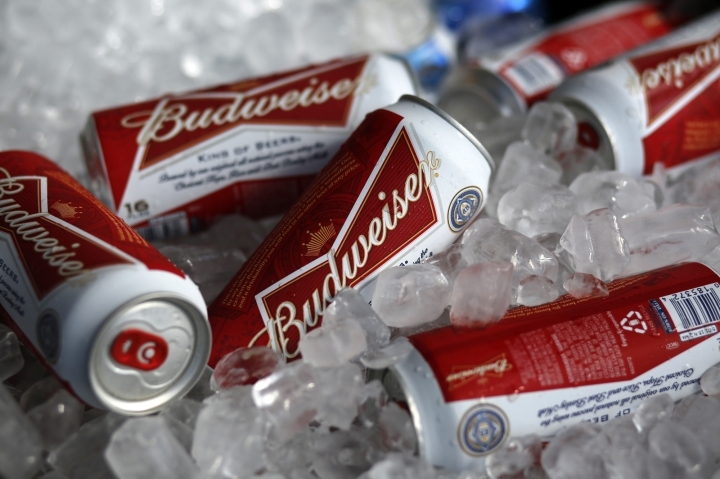 AB InBev, the maker of Budweiser, Corona, and Stella Artois, is trying to buy SABMiller in a massive deal that would merge the world's two largest beer makers. The complicated takeover had to pass regulatory hurdles around the globe. But just as the deal was nearing completion, Britain voted to leave the EU. Since then, AB InBev shares, which are priced in euros, have risen 3.2 percent and the pound has plunged against the European currency. That reduced the value of the cash-only offer compared with the cash-and-stock option tailored for two big shareholders — U.S. tobacco company Altria and BevCo, an investment vehicle of the Santo Domingo family, which together own 40 percent of SABMiller and want to remain shareholders of the new company. Some smaller shareholders, like Aberdeen Asset Management, whose stake in SABMiller is just above one percent, argue that the offer undervalues SABMiller and favors the company's two biggest shareholders. AB InBev sweetened its bid by one pound a share after the complaints, but smaller shareholders say it isn't enough. WHY IS IT THE COURT RULING IMPORTANT? Altria and Bevco, which have already backed the deal, hold such large stakes that it would have been virtually impossible for smaller shareholders to block the merger if all of the investors were lumped together in a single vote. Aberdeen Asset Management and other smaller investors demanded a separate vote on the transaction and now they will get it. "We are pleased the court has acknowledged the reality of the situation which will help to ensure that the views of the rest of the investor base have due weight," Aberdeen said in a statement. The firm invited "other investors who value good corporate governance and recognize the superior long-term value from continuing to hold SABMiller as a standalone entity" to vote against the deal on the grounds it undervalues the company. A shareholder vote will take place Sept. 28. Some 75 percent of the smaller shareholders must approve the deal for it to go forward. CAN THE DEAL BE STOPPED? Maybe. But analysts say it's not clear that those who want to block the deal have enough support. "We continue to believe opposition to announced deal terms is low," said Mark Swartzberg, who follows the firms for Stifel, a brokerage and investment banking firm.